Brooklyn. Archipelago Books. 2018. 375 pages. 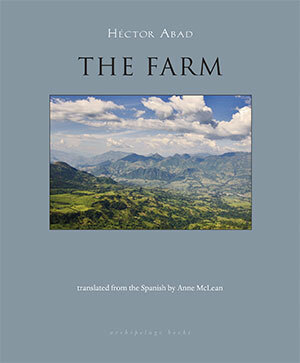 The eponymous farm at the heart of Héctor Abad’s new novel is tucked into a verdant corner of northwest Colombia. Known as La Oculta, it’s “a good hiding place,” says one character, “and its name itself means hidden: nobody arrives there who doesn’t know the way perfectly.” It’s been the Ángel family homestead for many years, but now, with the matriarch’s death, the farm’s future is in doubt. Should the Ángels sell or stay put? It’s a question with just two potential answers, but as debated by the three middle-aged siblings who stand to inherit the land, it’s a matter of great complexity. The Farm is a sweeping, satisfying tale about the interplay of family life and national history. Pilar, the eldest surviving Ángel, raised her children amid the coffee plants and cattle pastures, and she doesn’t want to leave. Her sister, Eva, however, would happily part with La Oculta; she was nearly murdered there by paramilitaries who wanted the land for themselves. As for youngest sibling Antonio, he’s decamped to Manhattan, where he lives with his husband. Though still wounded by the homophobia he encountered during his teens, Antonio is nostalgic about his boyhood home. If the proposed sale is put to a vote, he’ll cast the deciding ballot. The novel’s three main characters share the narrative duties, and each is a memorable, distinct figure. Antonio, a professional violinist, spends his spare time studying Colombian history; the chapters told in his voice provide a wealth of detail about the settlers who populated the rough terrain outside Medellín as well as the political and drug-related violence of recent decades. Eva, bookish and independent, has divorced three times, but late in the book she embarks on what might be her first truly fulfilling relationship. Pilar, meanwhile, is an unreconstructed romantic, deeply in love with her home and willing to take deceptive measures to hold onto it. Abad explored several similar themes in Oblivion, his effusively praised memoir about a family tragedy, which was published in the US in 2012. In a sense, he’s like some of the characters in The Farm, doubling back to a piece of land that he knows extremely well. With perceptive novels like this one, Abad is carving out an enviable niche in Colombia’s celebrated literary tradition. 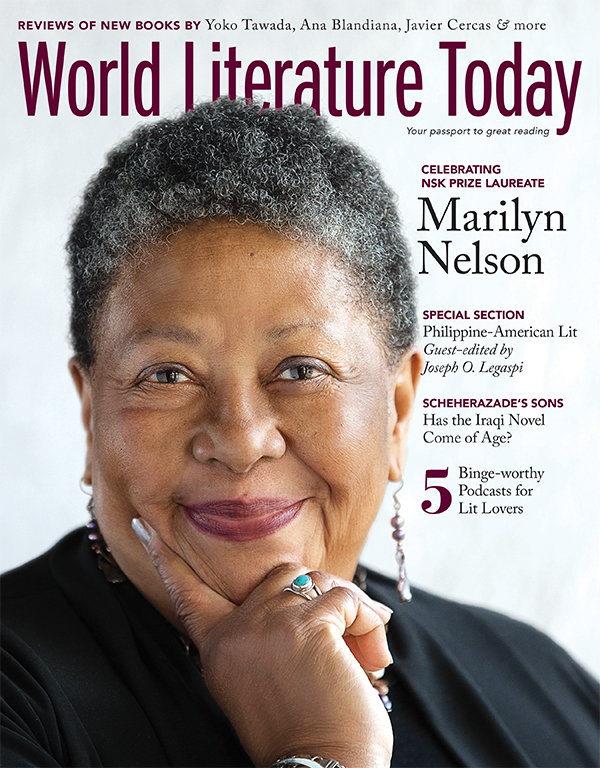 Marilyn Nelson, winner of the 2017 NSK Neustadt Prize for Children’s Literature, headlines the March 2018 issue of WLT.